What better way to prove yours is the “Best Class Ever?” than on Give To Lincoln Day?! Update your alumni profile on the Leadership Lincoln website. Make sure you include the areas and how you are currently serving in the community. This will be important in the event of a tie breaker. You have from now until May 31 to get this task done! Donate to Leadership Lincoln. The minimum suggested donation is $35, but support at any level is appreciated. Extra credit will be awarded for any classmate who joins the 100-member Leadership Lincoln Century Club and commits to donating $35 monthly for a year. All classmates must donate in order to be in the running for the Best Class Ever. Have questions? We’ve got the answers! We have alumni in our class who have moved or unfortunately, no longer with us. How are these classmates considered? All class members must have a donation to Leadership Lincoln. This would be a great opportunity to identify a gift in honor of someone’s participation and service to the community. For example, a member of the Executives cohort has made a gift equal to $10 for each classmate thanking them for sharing the experience. The encouragement is they will at a minimum, make a $25 contribution to Leadership Lincoln that will help them reach their class goal (Classmates X $35). I want to be a part of the Century Club, how do I sign up for that? It’s easy! Just contact the Leadership Lincoln team and a staff member will get in touch with you …but don’t delay, memberships are going quickly! I don’t know my alumni login information, where do I find it? The friendly team members of Leadership Lincoln will be happy to help you! Contact us we will send you your information! I don’t know how to contact my class, where do I find that information? You can search and find your classmates on the Leadership Lincoln website with your alumni log in information, As always, if you have any questions, contact the Leadership Lincoln team. We’re happy to help! You can reach all of the Leadership Lincoln team members by phone at (402) 441-4661 or by email at info@leadershiplincoln.com. Good Luck and may the Best Class Ever win! Community Services Fund is a coalition of 57 diverse non-profit organizations, some of whom provide services statewide. Member organizations offer education, advocacy and direct services that promote innovative solutions and enhance the quality of life for all Nebraskans. Community Services Fund raises money through workplace campaigns primarily payroll deduction. Member organizations are largely supported by individual donor contributions. Community Services Fund gives them the opportunity to access funds from donors who give at work. Visit Community Services Fund online to participate in the giving campaign! 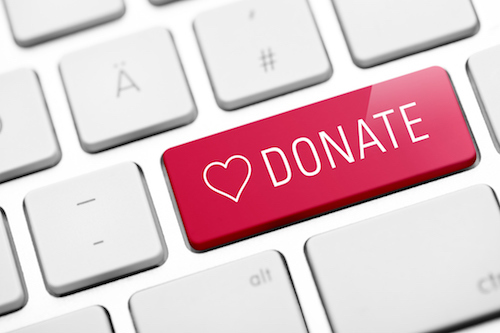 MightyCause is an online donation platform available to support your favorite nonprofit (via a credit card transaction). Either contact your bank directly or call Leadership Lincoln (402.441.4661) to arrange a one-time or reoccurring funds transfer.